All of us at WRGreens extend our warmest congratulations to our great friend and esteemed leader of the Green Party of Canada, Elizabeth May, on the occasion of her engagement to BCGreens’ John Kidder! Got some Time this Thursday, 14 December 2017? Meet Elizabeth May at the Guelph Campaign Office! This event is free and accessible (through the back door to the church around the corner from the parking lot). All welcome. Audience participation encouraged. Donations accepted. Five years ago the 39% “majority” Harper Government wanted to close Canada’s Polar Environment Atmospheric Research Laboratory (PEARL) of the Arctic. But it seems that Justin Trudeau’s Liberal Government— like Stephen Harper’s before it, intends to close Pearl. There was no press release or discussion, PEARL was simply ignored in the budget. No funds are forthcoming. The important program is finished without funding, if it shuts down science will no longer be done there. Why would this ostensibly pro-science government chosen to shut down the Polar Environment Atmospheric Research Laboratory (PEARL)? This is a serious problem. The last time this vital research station on Ellesmere Island was threatened with closure was in 2012, during the infamous anti-science Harper years, which also featured the muzzling of scientists on the government payroll,” said Richard Zurawski, GPC Climate Change Critic. “I am not surprised PEARL is on the chopping block again. The Liberals say a lot of nice things – mouthing all the proper words at the right time, projecting a pro-science and research campaign – while simultaneously choking off funding and giving vested fossil fuel interests a free hand,” Mr. Zurawksi said. Elizabeth May, Leader of the Green Party of Canada (MP, Saanich-Gulf Islands), said: “The Arctic recorded its eighth lowest summer ice extent, along with the lowest winter extent this year, and ocean levels are rising at their fastest levels on record, which threatens low-lying coastal cities. “Why would a government, supposedly so committed to science, climate change and international collaboration, allow this research station to be closed? I wish I had an answer. Without research, we will not discover answers. And without answers, we cannot take educated, informed action on climate change,” Ms. May said. But it’s not too late to save PEARL … and Canadian atmospheric climate science! Provide a well supported and stable funding environment for climate research in Canada by reinstating a funding model for climate science similar to the Canadian Foundation for Climate and Atmospheric Sciences (CFCAS) that was cut by the Harper government. American Prohibition did not work. Prohibition focused on the manufacture, transportation, and sale of alcoholic beverages; however, exceptions were made for medicinal and religious uses. Alcohol consumption was never illegal under federal law. Nationwide Prohibition did not begin in the United States until January 1920, when the Eighteenth Amendment to the U.S. Constitution went into effect. The 18th amendment was ratified in 1919, and was repealed in December, 1933, with the ratification of the Twenty-first Amendment. Not only did it not stop otherwise law abiding people from consuming alcohol, the costs — to the economy, the justice system and society — were staggering. Although the American Prohibition against alcohol never made drinking it illegal, the same was not true of cannabis prohibition in Canada, where users could be fined and imprisoned. As the 20th century wore on, the punishments became more severe, especially as Canada (again) followed the American lead. Recently the same actress, Rachael Leigh Cook, reprised her role in this 2017 “Your Brain on Drug Policy” video. The war on drugs is rooted in racist policies, and it’s failure has been as obvious as Prohibition. During the 2015 election, the NDP talked about decriminalizing cannabis, but the Liberals said that wasn’t good enough; they would take a step further and legalize it. Sadly voters again gave too much First Past The Post power to one of the same old parties promising “real change”. For real change, you have to vote smart– and different. Although the Justin Trudeau Government says it will legalize cannabis, its about half way through its term and they keep arresting people. Between 2008 and 2011, according to the Department of Justice, Canada spent $311 million targeting illicit drugs, with a majority of that money going to law enforcement. Most of that was for the ‘war’ against cannabis (marijuana). Marijuana prohibition is also prohibitively costly in other ways, including criminalizing youth and fostering organized crime. Cannabis prohibition, which has gone on for decades, has utterly failed and has not led to reduced drug use in Canada.After analyzing the recommendation of the Canadian Senate’s 2002 Special Committee on Drugs and the examples of strategies used by some European countries, the Green Party of Canada has come to the conclusion that it is time to legalize the adult use of marijuana. Furthermore, the Greens believe that drug addictions should be treated as a health problem, not as criminal offences. Provide increased funding to safe injection sites, treatment facilities, and addict rehabilitation. Unfortunately the way the Liberal majority government is doing this is not the way a Green government would have. “This looks like another Liberal plan to say a lot and do very little, supporting big corporations and political insiders over local small businesses. Having limited retail outlets across Ontario for legal marijuana will do virtually nothing to combat the huge illegal market. The Green Party does not support the monopolization of marijuana. The marijuana industry should be like the craft brewery industry – helping build local businesses, creating local jobs and contributing tax dollars to local communities across the province. The GPO supports strict regulations and controls for marijuana sales. The government can license retails outlets with strict rules focused on safety and health for small businesses. Our hearts go with Alex Tyrrell, leader of the Quebec Green Party who will attend the citizen’s initiative Vigile de solidarité avec les musulman-es de Québec #SalamQc. WRGreens are in full agreement with the sentiments expressed by Ms. May and Prime Minister Trudeau. WRGreens stand with all Canadians who believe we must extend a safe haven to those newly denied by President Trump’s latest Executive Order. We sincerely hope the Prime Minister follows up… and because things often get lost in the shiffle, it never hurts to remind our elected officials (especially in a winner-take-all democracy) that we really do expect them to see it through. Just in case, supporting the Leadnow Petition to Tell Trudeau: Welcome Those Fleeing Violence and Deportation Under Trump may very well help. Attacking innocents is not the Canadian Way. Our strength is in our diversity. 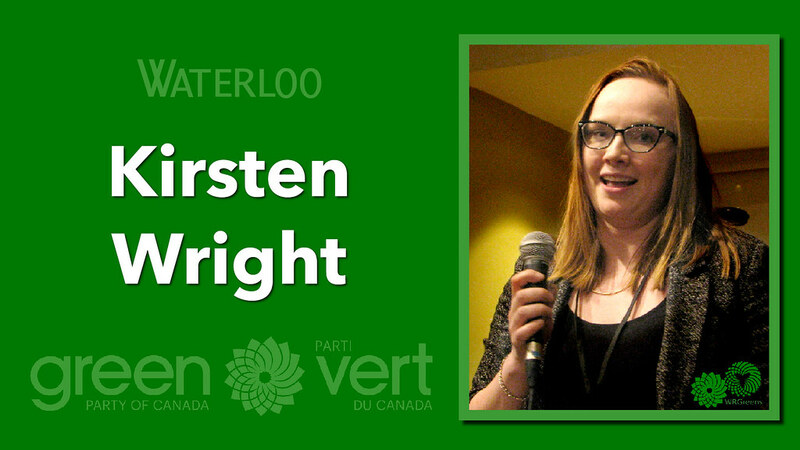 Richard Walsh (Waterloo), Bob Jonkman (Kitchener-Conestoga) and Michele Braniff (Cambridge) were among the many Green Party Candidates who joined Elizabeth May as she announced the Education portion of the Green Party of Canada’s platform at the University of Guelph on September 17th, 2015. As the 2015 election fades into memory, I am continually astounded to see how much Green Party Policy is being discussed… Apparently people were trying to convince Tom Mulcair to embrace the Green Party education policy as a means of retaining leadership of the NDP Party — although not as Green Party Policy. I tried sharing the link to the Green Party of Canada press release but there’s something wrong with the link, so in the interest of reminding people about this awesome GPC policy, I’ve chosen to reproduce it here. (OTTAWA) – Green Leader Elizabeth May (Saanich – Gulf Islands), unveiled the Green Party’s Youth and Education Strategy that includes a plan to abolish tuition fees for students and their families. The strategy would also implement a debt-forgiveness program for student debt above $10,000. ● Immediately cut tuition fees for students and their families without adequate financial means, and remove the inadequate 2% cap on tuition for all First Nations and Inuit students. ● Abolish tuition fees for post-secondary education and skills training for Canadians by 2020 through constructing a system of federal grants collaboratively with the universities and colleges. ● Eliminate any existing or future student federal debt above $10,000. ● Abolish interest on new student loans and increase available funding for bursaries. ● Create a national Community and Environment Service Corps, which will provide $1 billion/year to municipalities to hire Canadian youth. ● Help students and their families through the Guaranteed Liveable Income (GLI), to ensure no person’s income falls below what is necessary for health, life, and dignity. The Green Party was the first party to release a fully costed platform, available here. 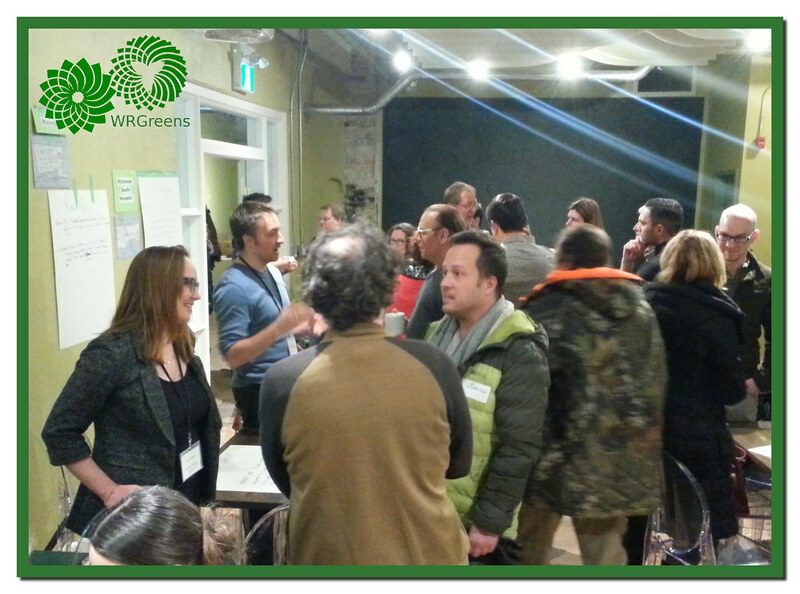 Please join other area supporters for our Annual General Meeting at 7 pm on Sunday May 1st, where we will elect our local Green Party executive for the upcoming year and discuss direction and plans for the future. 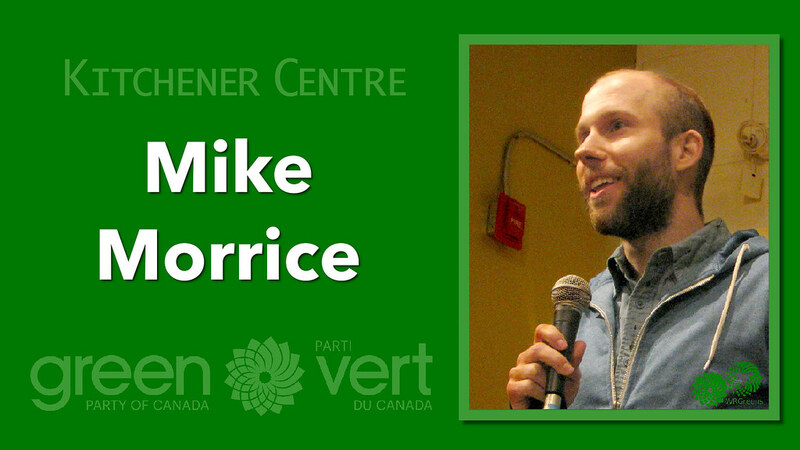 It is important that we strengthen our membership, engage our fellow citizens, and promote electing Green candidates. For these reasons, we encourage you to consider running for one of the positions on the Executive Board. The positions are not overly demanding of your time. 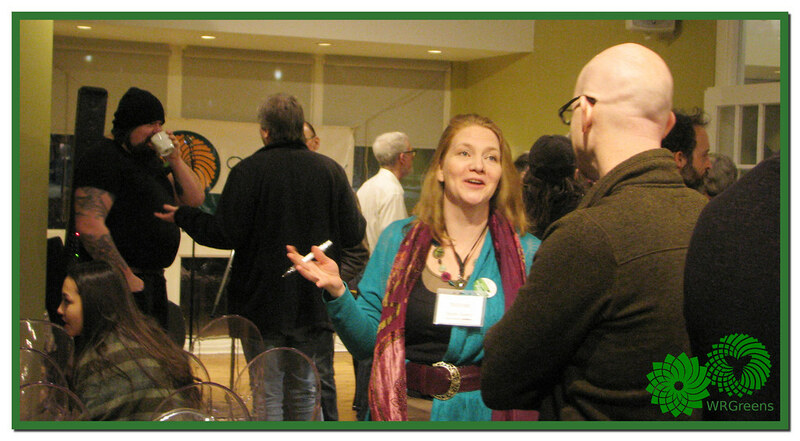 The goal is to meet occasionally, organize info tables at local events staffed by volunteers, and ensure a Green presence in our community all year round. 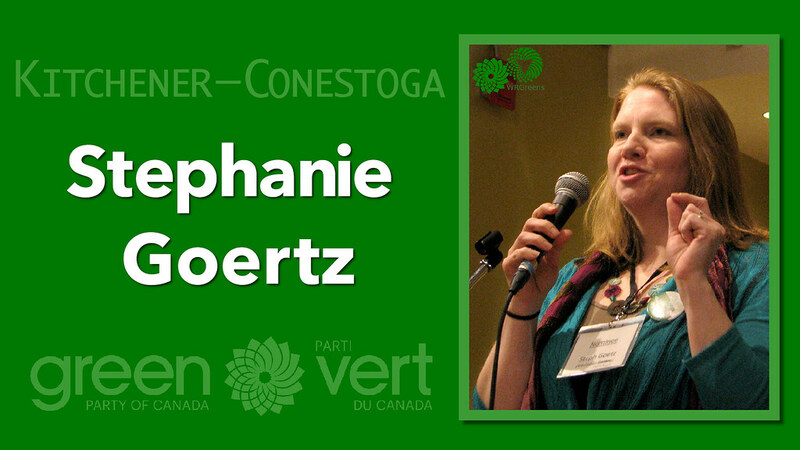 You must be a member of the Green Party of Canada or the Green Party of Ontario in order to vote or stand for a position on the corresponding executive at the AGM. Any person whose membership has lapsed within the last year may renew their membership at the meeting to acquire voting privileges. It’s preferable to do this online at the Green Party of Ontario website at gpo.ca or at the Green Party of Canada website greenparty.ca. 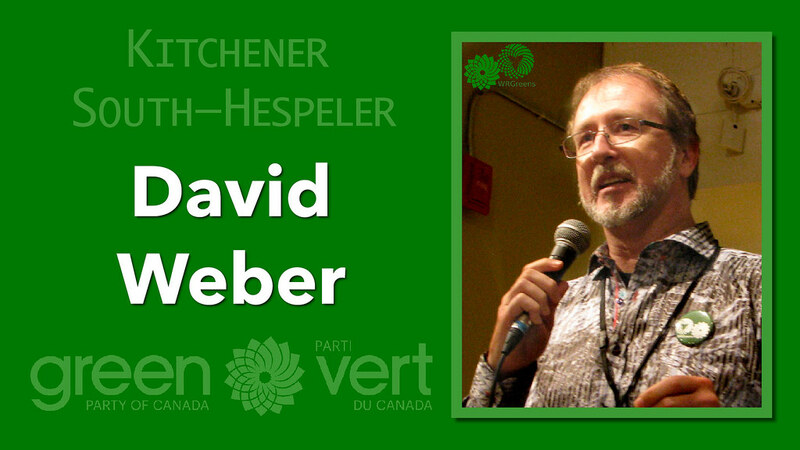 Contact David Weber (AGM organizer) for more information at 519-591-5773 or david.weber@greenparty.ca. Hope to see you there!